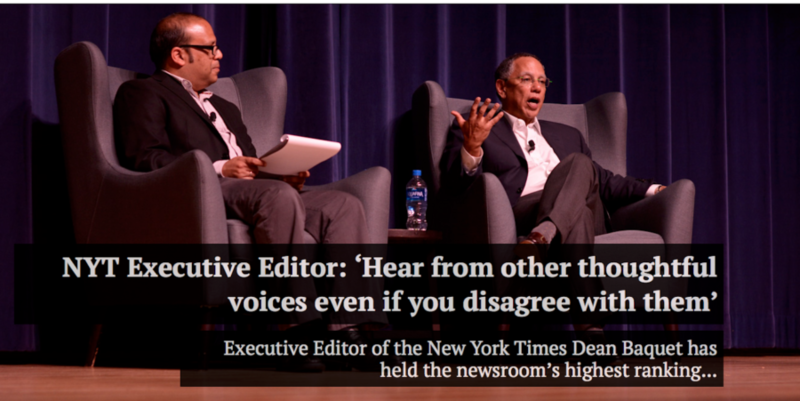 During his visit to the Brown Institute, New York Times Executive Editor Dean Baquet had the opportunity to stop over and speak with the staff of The Stanford Daily. Several Daily staff members also kindly lent a hand in the evening event, assisting with coordinating the crowd. Thanks again to those volunteers who could help out. You can read more about both events in this article by the Daily.